Chris Waller is chasing a piece of Doncaster Mile history with his four runners in this year’s race. Chris Waller has an extraordinary record in the Doncaster Mile, which might explain why the champion trainer has the confidence to attempt a feat unparalleled in the modern day. Waller has won the $3 million race six times in the past 11 years but never with a horse resuming from a spell. In fact, no horse in the past 20 years has won the Doncaster first-up and both the Waller-trained Life Less Ordinary and Japanese raider Kluger get the chance to defy that statistic at Randwick on Saturday. Life Less Ordinary hasn’t raced since his third in the Summer Cup on Boxing Day but Waller believes an extended spring-summer campaign and two recent barrier trials have given the horse the necessary fitness base. “His last race start was in December and he had a very busy spring, so it hasn’t been too hard to get him back to this stage of fitness,” Waller said. “He heads to the Doncaster fresh-up, but he is a noted first-up performer with a very good fresh record.” Life Less Ordinary will be one of four Doncaster Mile runners for Waller along with Shillelagh, I Am Serious and Unforgotten who is the most favoured of the quartet. Unforgotten has had a more traditional lead-up, coming through weight-for-age runs against Winx in the Apollo and Chipping Norton Stakes before a last-start fourth to Avilius in the Ranvet Stakes. She drops 400m in distance to 1600m on Saturday, a ploy Waller has used successfully. He did it with Rangirangdoo, who was runner-up in the 2010 Ranvet before winning the Doncaster, and his 2013 winner Sacred Falls who had a middle-distance lead-up in the Rosehill Guineas. Unforgotten rounded out her Doncaster preparations with a gallop on Tuesday and race jockey Kerrin McEvoy felt the mare was spot-on. “Kerrin indicated that she was sharp and felt great so she heads to the Doncaster in great condition,” Waller said. Shillelagh finished down the track in the Ranvet but Waller said the heavy ground was against her. He also warned punters to forgive I Am Serious for her disappointing effort in the Coolmore Classic. 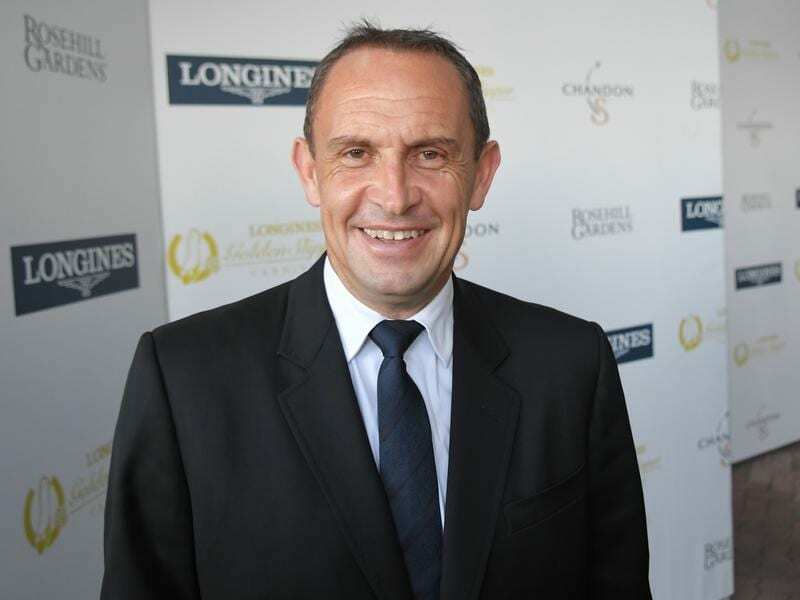 “Forget that she went around in the Coolmore as she never got on the track and never handled the track,” Waller said. “Her first-up run was brilliant and she has some good form around the right horses from last preparation.” If Waller wins the Doncaster he will equal the training record of seven held jointly by Gai Waterhouse and her legendary father and trainer Tommy Smith.